The University of Delaware Library celebrated the opening of a new research collection, the Senator Edward E. “Ted” Kaufman papers (http://www.lib.udel.edu/ud/spec/findaids/html/mss0660.html), on March 21, 2014. The Kaufman papers presented new challenges and opportunities for the Library that included managing its first significant acquisition of electronic records and developing its first online exhibition with Omeka. Senator Kaufman’s collection largely reflects the work of his term as a United States Senator from Delaware, January 2009-November 2010. Kaufman, who served on the Senate staff of Joseph R. Biden Jr. from 1973-1995, was appointed to fill the Senate seat left vacant when Biden was elected Vice President of the United States. Senator Kaufman served on the Senate committees on Foreign Relations, the Judiciary, Homeland Security and Governmental Affairs, and Armed Services. He made several trips to the Middle East and advocated for financial system reform. He also promoted the expansion of education in science, technology, engineering and mathematics (STEM). Additionally, he served as the Congressional Oversight Panel (COP) chairman from October 2010 until the panel ceased operation in March 2011. When the Kaufman papers were acquired in 2010, they included approximately 90 gigabytes of electronic records. The processing archivists first established an electronic records management program for the Library. They created procedures for processing electronic records and worked with Library IT staff to set up a stand-alone electronic records processing workstation. The electronic records in the Kaufman papers were the first to be accessioned. Appraisal reduced the size of the records to 68 gigabytes. The records were then arranged and described in the collection finding aid. The processed records were copied to a read-only server accessible from a dedicated computer in the Special Collections reading room. The reading room computer allows researchers to browse directories and files and to open multiple file types, including text, video, and audio without making modifications to the records. The Kaufman collection also propelled the creation of the Library’s first online exhibition using Omeka, the open-source web publishing platform. The “Edward E. ‘Ted’ Kaufman Papers” (http://exhibits.lib.udel.edu/exhibits/show/kaufman) website uses a theme specially designed for the project by Library staff. The site introduces visitors to Ted Kaufman, his career, and research materials related to Congress and Delaware government and politics available through the Library. It also features an exhibit, “22 Months: Ted Kaufman in the U.S. Senate,” (http://exhibits.lib.udel.edu/exhibits/show/kaufman/22-months) that explores highlights of Kaufman’s senatorial career and draws on both paper and electronic records in the collection. The Edward E. “Ted” Kaufman papers were processed and curated by Danielle Emerling and Tammi Kim, Assistant Librarians, Manuscripts and Archives Department. A more detailed account of the processing of the electronic records is available in the Society of American Archivists Congressional Papers Roundtable Fall 2013 newsletter (http://www2.archivists.org/sites/all/files/2013_Fall_0.pdf). The Rare Book Room in the West Virginia and Regional History Center owns many treasures from Austen to Diderot, and Linnaeus to Shakespeare. Among these gems is a two volume legal dictionary once owned by the author of the Declaration of Independence, Thomas Jefferson — a first edition of A New and Complete Law-Dictionary by Timothy Cunningham, printed in London in 1764-1765. It was among the books in Jefferson’s personal library. He gave it to his nephew, Peter Carr, as evidenced by Jefferson’s gift inscription penned inside the front cover of both volumes. Peter was the eldest son of Dabney Carr, (1743-1773) a childhood friend and brother in law to Jefferson, after his marriage to Jefferson’s sister Martha in 1765. After Dabney Carr’s early death, Jefferson contributed to his nephew’s education, giving Peter this law dictionary to support his studies. Following his father, who served in the House of Burgesses, and uncle into politics, Peter served as Justice of the Peace for Albemarle County and representative to the House of Delegates. Endrina Tay, Jefferson scholar and Librarian at Monticello, notes that Jefferson began supervising Peter Carr’s education about 1783, when letters among Jefferson’s correspondence mention ordering books for Carr on languages and the classics during Jefferson’s mission to Paris at the time. Adapted from the blog on the West Virginia and Regional History Center website, May 2014. April 23, 2014 marked the 450th anniversary of the birth of William Shakespeare. Born in 1564 and considered the greatest writer in the English language, Shakespeare is the author of such well known plays as Romeo & Juliet and A Midsummer Night’s Dream. The WVU Libraries, the West Virginia and Regional History Center, and the Department of English celebrated Shakespeare’s birthday on April 23 in the Robinson Reading Room located in the Downtown Campus Library. The celebration included a lecture by English Professor Dr. Sarah Neville, and an exhibit of the WVU Libraries’ collection of Shakespeare’s Folios. The Shakespeare Folios refer to the first published collections of Shakespeare’s plays. The First Folio, printed in 1623, is the most famous among the four folios published after his death in 1616. 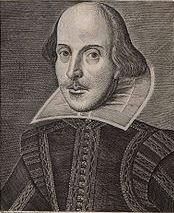 Subsequently, three more printings of the collected plays were published following the first printing of 1623. Shakespeare’s collected works are called “folio” due to the large size of the paper used in the printing process. A folio size paper sheet is 15 inches tall; it is then folded in half to make two leaves, or four pages, producing a large book. This exhibit marks the first occasion that all four of WVU’s Shakespeare Folios were on public display. 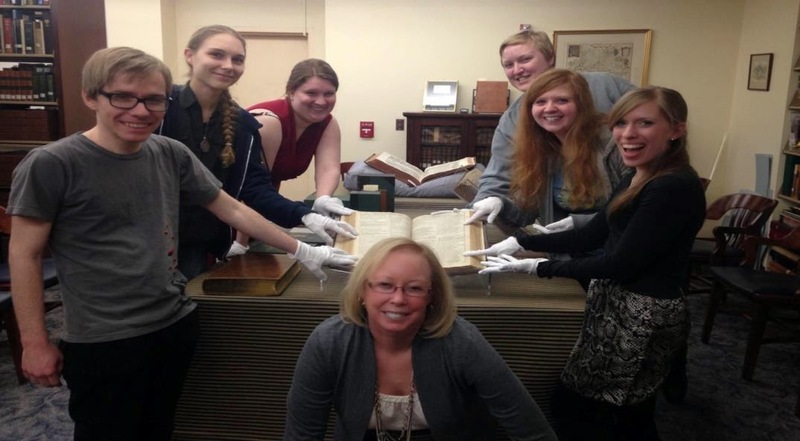 Shakespeare’s birthday celebration began in March when Dr. Neville brought her English 680 Research Methods class to the Rare Book Room to examine firsthand WVU’s collection of Shakespeare’s Folios. They were under the guidance and supervision of Stewart Plein, Rare Book Librarian. The Shakespeare Folios were a gift from alumnus Arthur S. Dayton, whose collection of works by William Shakespeare and Mark Twain established the Rare Book Room at WVU in 1951. Adapted from the blog on the West Virginia and Regional History Center website, April 2014. On May 15 Steve Cunningham lectured on the 7th WV Cavalry in the Civil War in the Archives and History Library in the Culture Center in Charleston. The program was free and open to the public. Steve Cunningham has been conducting research on the 7th West Virginia Cavalry for about 20 years, maintains an active Web site about the 7th, and has hosted several events for descendants of the unit. He is a past president of Kanawha Valley Civil War Roundtable, where he was involved in the organization of the centennial rededication of the West Virginia monuments at Gettysburg, and co-authored the book, Their Deeds Are Their Monuments: West Virginia at Gettysburg. He also is the author or co-author of several articles on the Civil War, including “The 1st West Virginia Cavalry in the Gettysburg Campaign” for the scholarly journal Civil War Regiments. Adapted from the newsletter West Virginia Archives and History News, May 2014. The traveling exhibit “Preserving West Virginia: Saving Communities,” made available by the Preservation Alliance of West Virginia, is touring various West Virginia counties in 2014. It focuses on how historic preservation is beneficial to West Virginia, and on strategies for re-using historic sites, while highlighting the West Virginia Endangered Properties List, a collection of at-risk historic resources threatened to be lost through demolition, neglect, and other environmental/human factors. Concrete examples are included to demonstrate how historic preservation has been a successful revitalization and economic development tool in West Virginia. The exhibit is financially supported by the West Virginia Humanities Council, and by the National Coal Heritage Area Authority. Adapted from the website of the Preservation Alliance of West Virginia, May 2014. In conjunction with the IMLS grant project begun in the fall of 2013, the Delaware State University Archives and Special Collections maintain a blog. The blog contains weekly posts on a variety of topics, such as collection highlights, relationships of collection items to current events, or general updates on our grant project progress. The blog can be found at: http://dsuarchives.blogspot.com/. Within the last several months, the Delaware Public Archives website, archives.delaware.gov, has undergone a dramatic transformation in order to be more user-friendly for our e-patrons. In addition, two new exciting collections have been added to our growing digital archive. One of these new additions is the Vietnam Mailbag collection. This group of materials features correspondence, newspaper clippings, and photographs compiled by Nance E. Lynch for her “Vietnam Mailbag” column in the Wilmington Morning News. 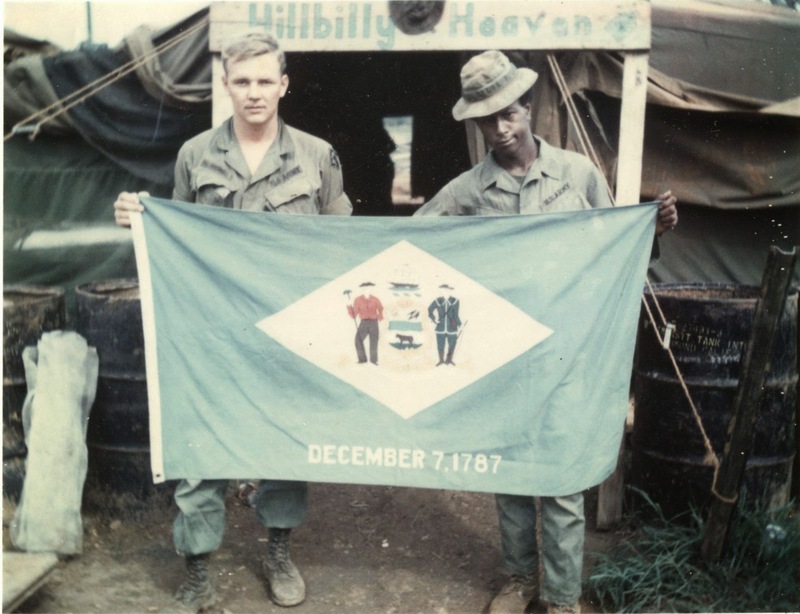 Correspondence includes nearly nine hundred letters from Delaware soldiers in Vietnam, describing their viewpoints on the war, life in Vietnam, and the home front. These records were used in Lynch’s book, Vietnam Mailbag: Voices from the War, 1968-1972. Following the publication of her book in 2008, Lynch donated the collection to the Delaware Public Archives. and several airplanes by Lloyd Teitsworth and Dee Andrews, this collection was created in 1970. 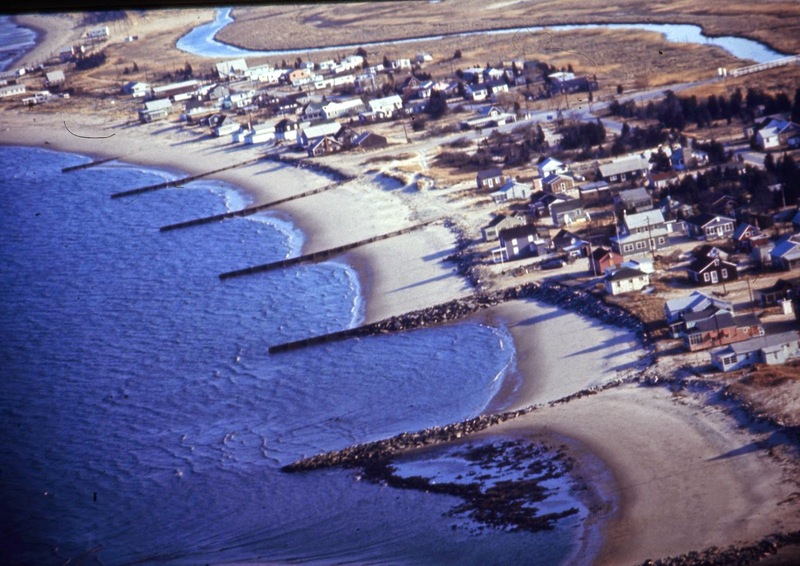 The project, funded by Mr. and Mrs. Ellice McDonald of Montchanin, Delaware consists of 1,420 aerial view color slides documenting the state, especially the coastline and state boundaries. Other major subjects include the Christina River from its source to the Delaware River, Cherry Island, Wilmington Marine Terminal, Fort Delaware, Chesapeake and Delaware Canal, Artificial Island, lighthouses, Getty Refinery, Appoquinimink River, Mispillion River, Broadkill River, Lewes and Rehoboth Canal, Indian River, Cypress Swamp, Nanticoke River, and the northern arc boundary. Cities and towns, including Wilmington, Newark, Smyrna, Dover, Milford, and Rehoboth Beach are also represented. The Museum of the City of New York is pleased to announce the generous support of the National Endowment for the Humanities (NEH) for the project Illuminating New York City History through Material Culture: A Proposal to Process, Catalog, Digitize, and Rehouse the Ephemera Collections of the Museum of the City of New York. The application, submitted to the NEH Humanities Collections and Reference Resources grant opportunity in July 2013, outlines a plan to increase public access to over 6,500 objects of material culture over the course of two years. The Museum was notified of the successful funding of this application in the amount of $125,000 by Senator Kirsten Gillibrand’s office in March 2014, by instruction of the NEH. The City Museum’s Ephemera Collections are a treasure trove of tangible and eloquent, but often humble items that survive from a vast range of events and organizations over the course of more than two hundred years. Collections include advertisements, handbills, pamphlets, menus, invitations, medals, pins, buttons, badges, three-dimensional souvenirs, and printed textiles, such as ribbons and sashes. These objects—the minor and transient documents and souvenirs of everyday life—provide visual and material insight into New Yorkers’ engagement with the social, creative, civic, political, and physical dynamics of the city, from the Colonial era to the present day. MARAC Fall 2014 Baltimore Conference Registration is Open! MARAC is pleased to announce that online registration for the Fall 2014 Baltimore, MD conference is now available! Please click here to view the program. The early registration discount deadline is September 10th. Complete the Fall 2014 Meeting Registration online form (click on the link to go to registration form). You will have the option to pay by check or credit card. Complete the registration form (last page of the program) and return via mail with an enclosed check to the listed address. Additional details (including reservation information for the Embassy Suites Baltimore Inner Harbor) are available online at: www.marac.info/upcoming-conferences. The Local Arrangements committee has also made a webpage which will post updates, recommendations, and other area attractions: http://marac2014baltimore.wordpress.com. Travel advisory: The Baltimore Marathon will be held on Saturday Oct 18 from 8am to 1pm in the immediate vicinity of the hotel. Attendees are encouraged to reserve a hotel room early, and to take the increased traffic and road closures into consideration when making travel plans for Saturday. Please contact Tammy Hoffman (administrator@marac.info) if you have additional questions regarding the conference registration. Thank you and we look forward to seeing you at MARAC’s Fall 2014 Conference in Baltimore, MD! Registration is now open for the fall continuing education workshop, “Introduction to Genealogy for the Unsuspecting Archivist. ” This MARAC workshop is approved for Academy of Certified Archivist credits upon request. To register, please visit http://www.marac.info/workshops! Parking: Parking is available for a nominal fee. Two hours of free parking are provided by the library. For more information please visit: http://www.fcpl.org/branches-hours/c-burr-artz-public-library/parking-c-burr-artz-public-library. Archivists have often had very ambivalent relationships with genealogists even though family historians are the primary patron base for many institutions. Those institutions that are not frequented by genealogists regularly utilize family search methodology, whether they know it or not, for such regular tasks as researching donors and writing finding aids. The more archivists know about basic genealogy, the better prepared they will be to locate information on any person, dead or alive. This workshop will provide a crash course on how to handle the “pesky” family historian and provide an overview on basic genealogy methodology. The most popular online tools and subscription databases will also be discussed, with a particular focus on Maryland-related genealogy. You may find that genealogists aren’t that bad after all and that you actually may have collections that will interest this misunderstood, yet very supportive, clientele. Just as genealogists are advised to understand the world of archives and learn to talk our talk, perhaps it is time we all learned to talk genealogy.